With Spring Break and Summer quickly approaching, those few perfect months for beach vacations, camping trips, and family excursions are near. These are the most exciting times for your families, filled with activities and treats. Unfortunately, all the hustle and bustle can be detrimental to your oral health. 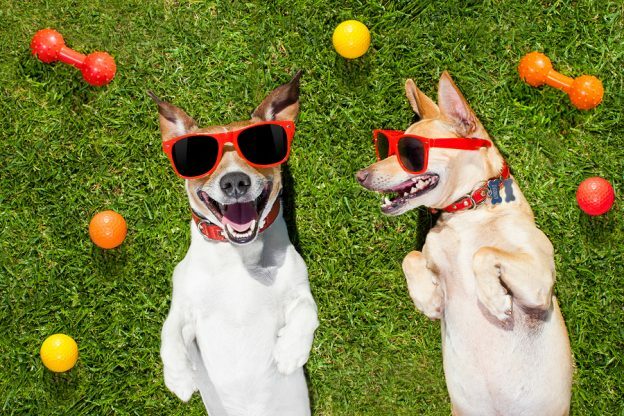 Here are a few tips to make sure that everyone is all smiles during time away. The stress of preparing for a trip means important items can be forgotten, so put oral hygiene at the top of the list. Few things are as important as your health, and even someone who gets regular checkups and cleanings will suffer by leaving their toothbrush at home. If nothing else, make sure to pack the big three: a toothbrush, toothpaste and floss. There are a few specifics to consider when packing these items. We recommend having a second toothbrush for traveling, so that your at-home toothbrush will remain clean and in good condition. There are collapsible toothbrushes that can fit inside limited luggage space and TSA approved toothpaste sizes if you’re only taking a carry-on. Finally, investing in a toothbrush holder so that your toothbrush stays clean while packed in a bag with dirty shoes and souvenirs. We always suggest scheduling your preventative appointments every six months. That will ensure your oral health stays in check and nothing will surprise you while you are away. But, if you are about to embark on a journey, it’s especially important to consider seeing us before you leave. 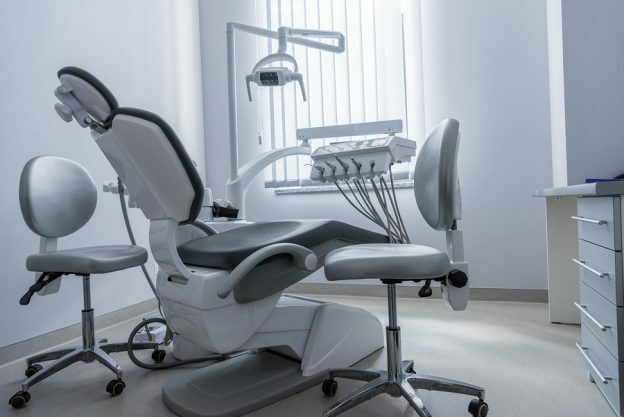 Dental problems can escalate quickly and the last thing you want is emergency care from an out-of-town (or out-of-country) dentist who doesn’t know your history. Making an appointment before you leave will ensure that you get to experience your vacation to the fullest without surprises. Even the most prepared vacationers can experience troubles while traveling. That doesn’t mean they are caught off-guard. There are a few things you can do to make sure dental emergencies go smoothly. Bring a copy of your dental insurance and a list of your regular dental contacts if you need to reach them. Make sure to ask your insurance company about emergency care policies, especially if you are leaving the country. By being well prepared for your trip, everyone will be well taken care of, even if you are hundreds of miles away from home. Many of us like to experience new things when we travel. That can mean late nights, sweet treats or even going off-grid. It’s easy to forget your tooth care routines when your environment changes. Consider the challenges you may encounter and prepare for them. If you are camping, there is environmentally-friendly toothpaste and mouthwash in times where no plumbing is available. Some people bring handheld floss picks that make it easier to reach without a mirror. Setting a reminder on your phone can help you remember to brush when you are especially tired from a long day of adventure. And in times of minimal space, you can always grab a pre-pasted toothbrush. Vacation is the most fun time of the year and with a few steps before you leave you and your family’s teeth will be well prepared! By considering these obstacles, packing appropriately and planning ahead, you’ll ensure that everyone will happily flash those pearly whites in all their photos. If you need special travel accessories or more tips, call us at 757-609-3510 or visit this link to schedule an appointment or with us before you take off. Safe travels! This entry was posted in Dental Care Tips, General Dentistry on April 3, 2019 by Vacendak Dentistry. You’ll likely need to fill out quite a few forms if you are a new patient – your medical and dental history, new patient registration, insurance forms and others, depending on the office. Plan to arrive a little early for your first visit to make sure you have time to carefully review documents. Your dentist may also have forms available online, so be sure to check their website. Locate your identification and insurance cards the night before your visit. Just like a presentation you haven’t prepared for, it might be difficult to remember any concerns you have about your oral health that your new dentist will want to know. It’s a good idea to make a list with questions and concerns you have–orthodontics, sensitive teeth, pain, etc – and have it handy for your first appointment. If you haven’t seen a dentist in a while, you should expect to spend a bit more time at the office. You’ll have your regular cleaning, but will also need to update your x-rays and may talk with your doctor more than you would at a normal checkup. With these expectations in mind, your first visit to a new dentist will be a breeze! If you’d like to schedule a visit to Vacendak Dentistry as a new patient, contact us today by calling (757) 609-3510 or by using our online form. This entry was posted in General Dentistry on March 29, 2019 by Vacendak Dentistry. Bad breath. The source of bad breath isn’t always the stinky food you ate for lunch. If you find that your friends and family are leaning away as you talk, it could be from a number of causes relating to oral health and bacteria. Make sure you are brushing after each meal, flossing daily and brushing your tongue. If a good dental hygiene routine isn’t helping, you may need a deeper cleaning from your dentist, and regular 6-month checkups. Gingivitis. Gum disease sounds scary and often has a stigma around it, but nearly 47% of American adults have gingivitis. If you notice frequent inflammation of the gums, bleeding after brushing or gum line recession, it could be a sign of gingivitis. Thankfully, this condition can be treated, but not at home. Schedule a visit with your dentist for a professional diagnosis, and follow up with good brushing habits. Tooth sensitivity. Is it taking you longer to brush your teeth each day because you’re waiting for the water to warm up or cool down? 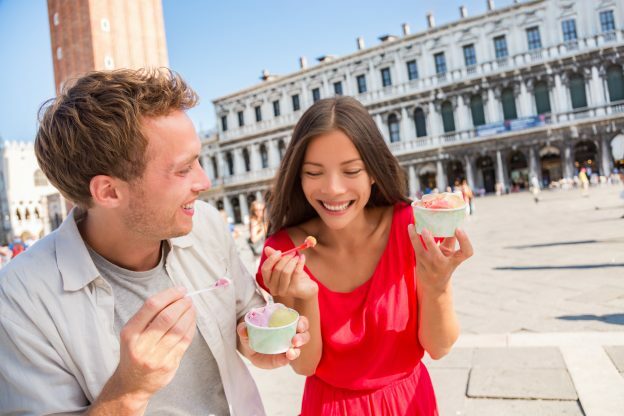 Tooth sensitivity can be incredibly uncomfortable, and even prevents some from enjoying their favorite meals and sweet treats. This problem can be mediated by using special toothpastes made for sensitive teeth, but you may want to consult your dentist to find the underlying issue if your symptoms are sudden, or getting worse over time. If you think are experiencing any of these common dental problems, don’t worry! The doctors at Vacendak Dentistry are ready to help you identify the causes and find a solution to keep you healthier and worry-free. Contact us at (757) 609-3510 to schedule an appointment. This entry was posted in Dental Care Tips on February 27, 2019 by Vacendak Dentistry. Visit your dentist. Just like you should consult your doctor before trying a new fitness plan or diet, visiting your dentist is the first step to transforming your oral health. This is your chance to start the year fresh and build from a clean slate, and also your chance to ask any questions about your routine or products! Get the right tools. Are you still using a fraying, old toothbrush? Only flossing when you visit a friend’s house? It’s time to stock up on the right tools to make sure you’re set up for success. Invest in yourself. If there is cosmetic dentistry you’ve been meaning to get, but keep putting off, 2019 is the year to finally invest in yourself. Getting the smile you deserve can not only transform your oral health, but possibly your entire year! Set reminders. It takes around 60 days to form a new habit like flossing or brushing your teeth after lunch. Until then, setting reminders on your phone or computer can help! Eat the right foods. If you already have a resolution to eat more healthy foods, this one should come easy! Some foods can help with your oral health journey, and others can hurt it. Avoid too much sugar, and fill your diet with foods high in calcium, like leafy greens and yogurt. Drs Sheila and Daniel Vacendak and the team at Vacendak Dentistry are here to make your dental health care a positive experience! We are conveniently located in the Greenbrier area of Chesapeake and serve patients all across Hampton Roads. Call us today at (757) 609-3510 to schedule an appointment. This entry was posted in Dental Care Tips, Preventive Care on January 29, 2019 by Vacendak Dentistry. Is tough to stuff a stocking with toothbrushes and toothpaste…your family might think you are trying to tell them something. However, dental products are often something we forget to replace as frequently as we need to, or something we don’t really want to spend much money on. That’s why they make such good gifts for the holidays! An electric toothbrush. Some of the best electric toothbrushes can be awfully pricey, and the replacement heads drive up the cost. However, this item is a great investment that can help improve oral health by reaching places that standard toothbrushes cant. A water pick. Water picks aren’t just for braces! This item is great for making flossing fun and exciting, by using a stream of water to dislodge food debris and remove plague around your gums. Remember, 2019 is almost here. While you may be gifting your friends and family with useful items, it’s also time to start thinking about your own resolutions. If you’re reading to take control of your oral health, Vacendak is here to help! Call our Chesapeake office today at (757) 609-3510 to schedule a dental visit or to learn more about our practice. This entry was posted in Dental Care Tips, Preventive Care on December 16, 2018 by Vacendak Dentistry. They help you scarf down that delicious thanksgiving meal – and the pie after! Having healthy teeth is so important for eating a balanced diet of foods that your body can digest more easily after being chewed. They give you a great smile. Your teeth are the first thing you notice during that holiday family photo shoot. Taking care of them means you’ll have great photos with an even better smile, and will also be more confident when meeting new people and having a conversation. They tell you about your history. Teeth can tell us a lot about where our ancestors come from, and even the types of food they ate! Did you know that teeth are also used for DNA identification? They give you hints about your health. Your teeth can be indicators of your overall health. For example, very pale gums could be a sign of anemia, and loosing teeth could be a symptom of osteoporosis. However, you won’t be able to self-diagnose by looking at your teeth. If you notice anything different, contact your dentist! You can give thanks to your teeth by taking extra care of them. Brush regularly, floss every day and keep up with your regularly scheduled cleaning. The doctors at Vacendak would also like to remind our patients just how thankful we are for them! If you haven’t seen us in a while, give us a call at (757) 609-3510 to schedule your checkup. This entry was posted in Dental Care Tips on November 22, 2018 by Vacendak Dentistry. Remember, a few days of eating candy won’t ruin your child’s oral health if they have a good routine with regular brushing and flossing. Just be sure they are cleaning their teeth after meals and before going to bed. The only thing you should be worried about is getting them to bed on time after all of that sugar! If you child has braces, they can still participate on Halloween! Just make sure you know what is safe for them to eat, and clean around the braces well before bed. Stay away from sticky, chewy candy and avoid biting on hard candies. If you still aren’t sure, review the list your orthodontist gave you or give them a call. Drinking more water can be helpful. Water is great at dislodging food from between your teeth, but fluoridated water can also help prevent tooth decay. Setting rules is important. 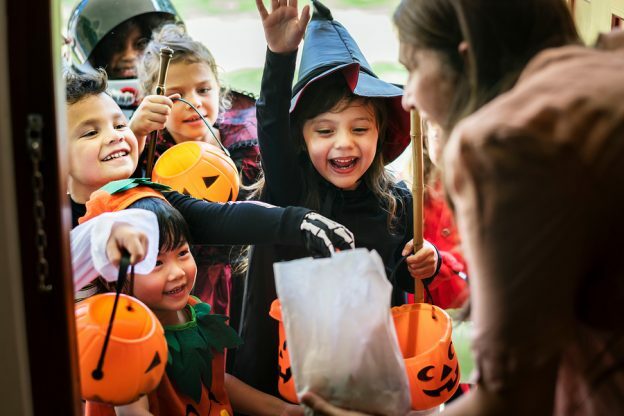 Your child is going to want to eat as much candy as they can as soon as they return from making their rounds in the neighborhood. Eating too much sour can hurt their mouth, and too much sweet can hurt their stomach. The best thing to do is set some rules about how much candy is allowed at once, and spread their loot across several days. The most important thing is for your kids to have fun, and that certainly won’t be the case with cavities! Call our Chesapeake office today at (757) 609-3510 to schedule a dental visit or to learn more about our practice. This entry was posted in Dental Care Tips, Pediatric Dentistry on October 30, 2018 by Vacendak Dentistry. Identify the weaknesses in your routine. The best way to improve your routine is by figuring out your weak areas first. Do you often have bad breath because you aren’t flossing? Do you stop brushing before your two minutes are up? Work on your problem areas before thinking about adding new tasks to your routine. Have a conversation with your dentist. Do you have questions about your teeth for your dentist that you’ve been too afraid to ask? Questions about services that you might want, like whitening or other cosmetic dentistry? 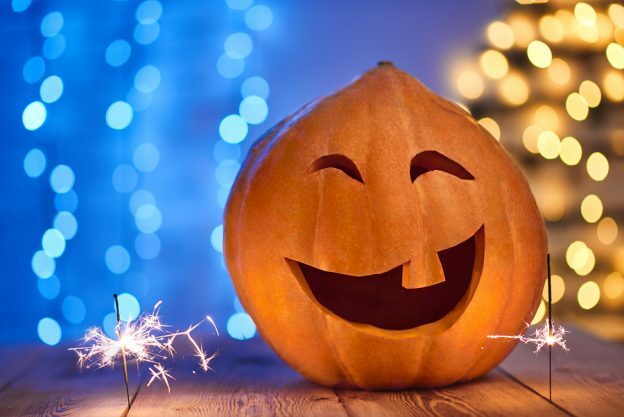 Are you wondering just how much candy your kids can eat on Halloween? It’s time to have a conversation with your dentist about all of your questions and concerns to become more familiar with you and your children’s oral health. Schedule your routine checkup. If you keep postponing or cancelling your routine six month cleaning, it’s time to make an appointment and stick to it. Starting Fall with a clean slate is the best way to keep track of how well you are sticking to your dental routine throughout the holiday season. If you’re ready to take control of your oral health and update your dental routine for fall, call or contact Vacendak Dentistry today to learn more the dental services we offer and to schedule a consultation. This entry was posted in Dental Care Tips, Preventive Care on September 24, 2018 by Vacendak Dentistry. They say it takes nearly a month of completing a task to form a habit. Want to wake up at 6 am every day? Want to start running four times a week? Want to read for twenty minutes every day? Stay dedicated and do it every day for a month and it will start to feel normal. The same is true for good dental hygiene habits. If you find yourself with sore, red gums or receiving a lecture about brushing and flossing at every six-month checkup, it may be time to think about your habits (and forming some new ones). But where do you start? Identify your goals and start simple. One of the biggest mistakes people make when trying to improve their lifestyle and form good habits is taking on too many new goals at once. Rather than the “all or nothing” approach, start simple! Identify your goals, but take them one at a time. If you haven’t been brushing three times a day, start there. You can tackle flossing or timing once you’ve gotten used to the basics. Set reminders. New goals are the easiest to forget, especially when it’s a new addition to your overall routine. 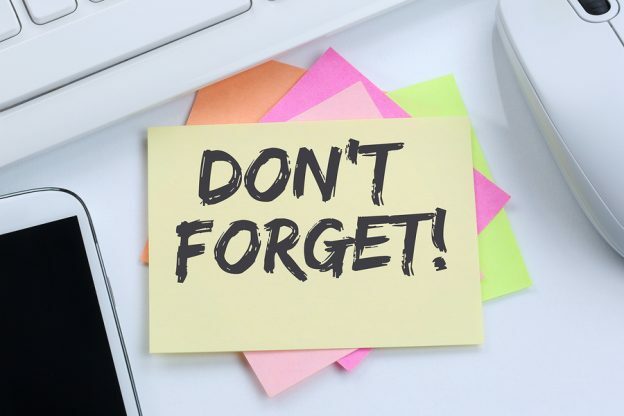 Whether it’s a phone alarm, sticky note by the sink, or placing your floss somewhere you’re guaranteed to see it, setting a reminder will help you with the habit-forming process. Tell someone. If you’re the only person (besides the dentist you see every six months) who knows you are trying to form a new dental hygiene habit, you’re also the only person holding you accountable. If a push from others is what you usually need to complete a task, it’s time to tell a friend or family member about your new brushing or flossing goals! Remember, even the best dental habits can’t replace your regularly scheduled cleaning. Your dental checkup is important for your overall oral health! Call Vacendak Dentistry at (757) 609-3510 to schedule one. This entry was posted in Dental Care Tips, Preventive Care on August 22, 2018 by Vacendak Dentistry. Though it feels like school just let out, parents, teachers and college students are already thinking about the long list of tasks to complete before August and September come around. Summer is the one time of year that is free to make appointments and actually get to them, without having to worry about coordinating schedules, missing work or classes and taking kids out of school. Taking your child or yourself to the dentist is probably the last thing on your mind during school season, so this month is the best time to go! Remember, getting an appointment for your six-month checkup or other dental work you need done is not always as easy as it sounds. During the summer, everyone is scrambling to get all of their health checkups done, and you’ll want to call in advance to schedule yours. July is the perfect month – if you can get an appointment soon, you won’t have to think about it for the rest of the summer, and if not, you’ll probably still be able to get one before school starts up again. In the meantime, be sure you and your kids are keeping up with dental routines throughout the summer. Vacations and trips can distract from your normal routine, and it’s always a good idea to double-check your luggage for all of your toothbrushes, floss and toothpaste. We know you’ll want to hit the beach as soon as you get to your destination – not head to the store for all of the items you forgot! This entry was posted in Dental Care Tips, General Dentistry on July 13, 2018 by Vacendak Dentistry.